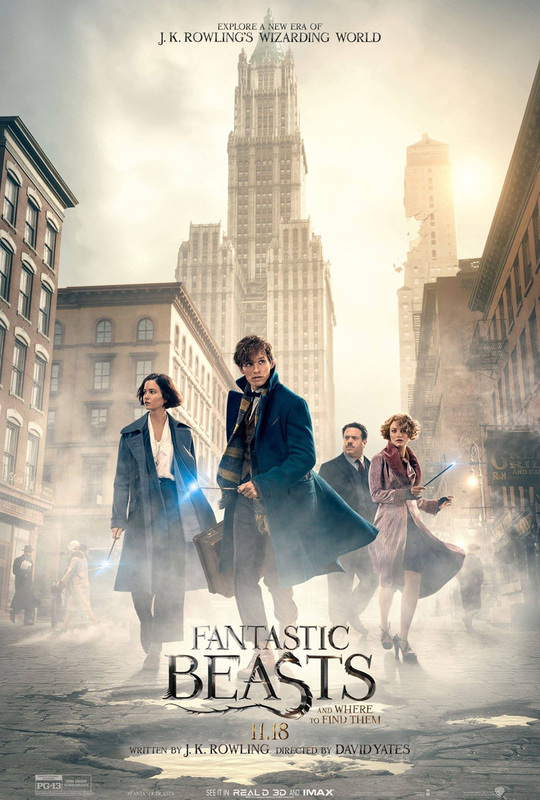 Like almost every other Harry Potter fanatic, I eagerly anticipated the release of Fantastic Beasts since it was first announced. And I was not disappointed. It was so wonderful being back in the Wizarding World, and to finally get a glimpse of American magic. I loved our four heroes. They were played beautifully by their actors. Ezra Miller and Colin Farrell were also quite spectacular in their roles. Like many other fans, I was extremely disappointed when I heard of the casting of Johnny Depp as Gellert Grindelwald. I have never been a fan of Johnny Depp. I enjoyed him in Pirates of the Caribbean, but every one of his characters post-Pirates has been Captain Jack Sparrow: over-the-top and eccentric. And that was exactly how I saw him as Grindelwald. He only had two lines, but they were the most overacted moments in the movie. Careful considerating needed to be made in the casting of Gellert Grindelwald, and I don’t think it was. Prior to Voldemort, Grindelwald was the most feared Dark Wizard in wizarding history. But Depp plays the idea of creepiness as only Johnny Depp can do. He’s turned him into a caricature. Johnny Depp is a dark stain on the Harry Potter-verse. I will not understand why they couldn’t have just cast Colin Farrell as Grindelwald. He played him perfectly as Percival Graves. But back to what I did love about Fantastic Beasts: the beasts. Naturally, the niffler was my favourite. Or maybe it was Pickett the bowtruckle. Or maybe it was Frank the thunderbird. Or no, the occamy. No wait, it was the demiguise! No, no, the Fwooper! NO, THE GRAPHORNS! NO, NO, NO, IT’S THE HEARD OF MOONCALVES!!!! I JUST LOVE ALL OF THEM! I am beyond stoked for the next installment, but I really wish Johnny Depp wasn’t in it. – Best Achievement in Visual Effects: This is the most obvious potential nomination. The effects are absolutely beautiful. – Best Production Design: Half of the Harry Potter films were nominated for Best Production Design Oscars. This was back when the award was called Best Art Direction.